Whether it’s God or fate or karma or randomness, how should we respond when life skewers us with loss and cruel reshaping of dreams into walking nightmares? 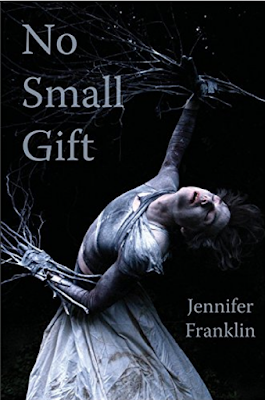 Jennifer Franklin, whose award-winning poetry has appeared in an earlier full-length collection and in many literary magazines and who teaches this art, rips us out of complacency and away from the simple (if unjust) answers of Job, biblical deity, and bumper-sticker wisdom, to confront more than her daughter’s autism spectrum disorder—instead, she turns the blunt mirror onto her own emotions and choices, until the force of each poem ejects the mirror from the page, into the reader’s hands. or blame me for walking out after each of us was betrayed. celebrate but only the two of us know we have no cause. I couldn’t bear your pity. Far from the traditional confessional poetry of, say, Ann Sexton or John Berryman, Jennifer Franklin insists that the material of life, even the darkest, sharpest moments, be valued and named. Don’t give this poetry collection to someone in the midst of terrifying treatment for a deadly disease. Instead, purchase the copy for afterward, for the endless loop of recovery, fear, hope, and self-knowledge. In that sense: Recovery lasts a lifetime. PS: Looking for more reviews? Browse the Kingdom Books mysteries review blog here. Only interested in poetry? Try this link instead.